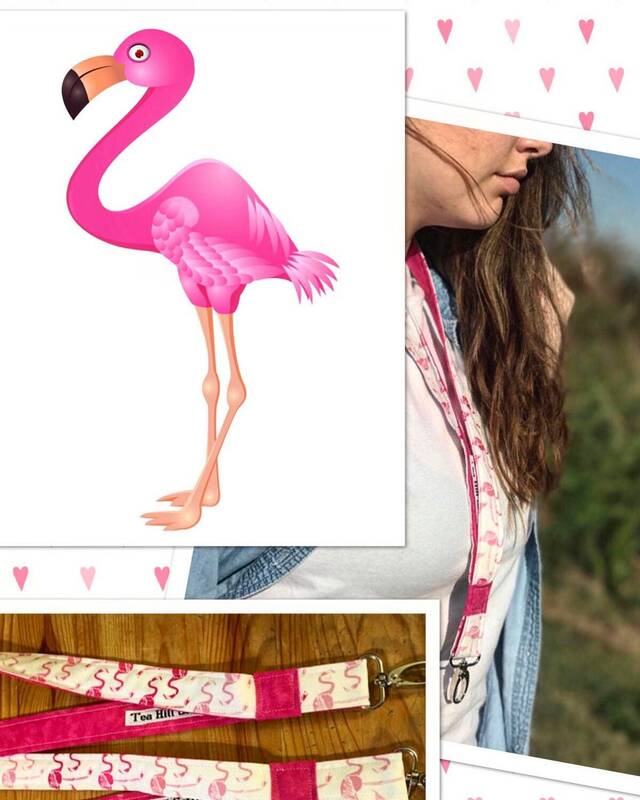 Do you love flamingos? 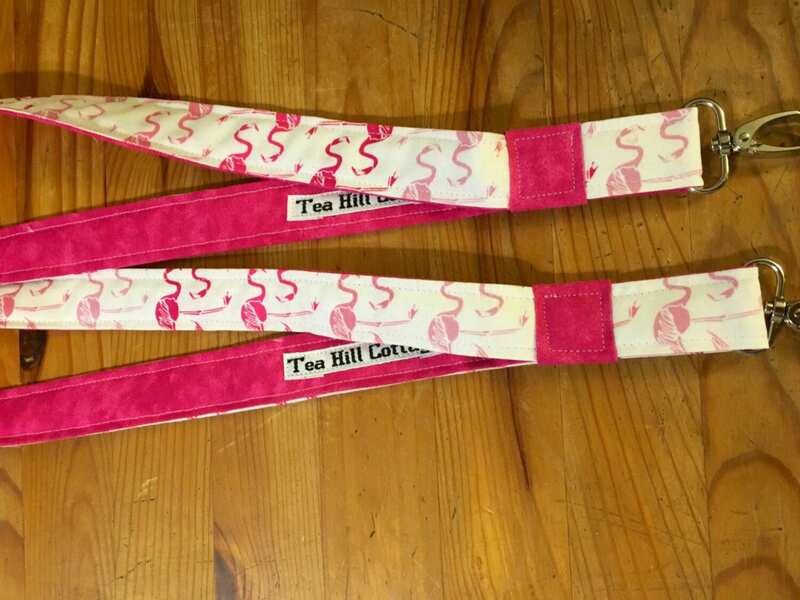 If so, you need one of these lanyards! I created them after a request from a teacher friend 😊. 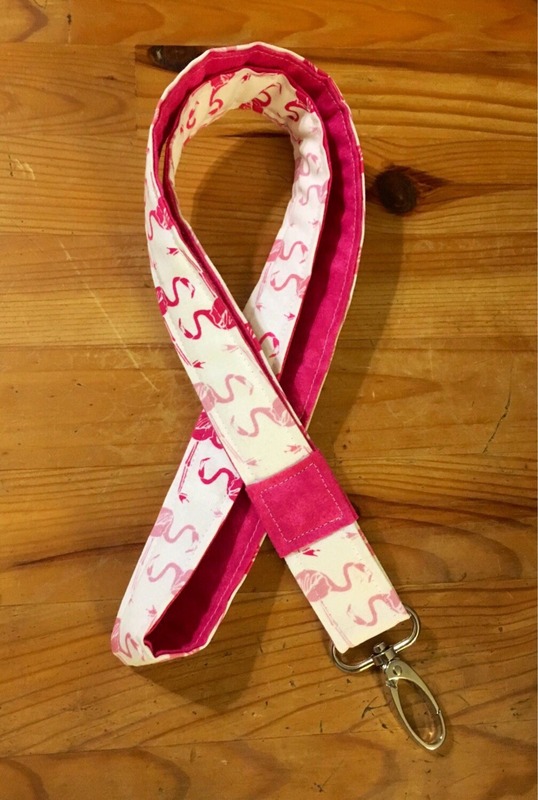 There must be lots of flamingo fans out there as this is a popular lanyard! 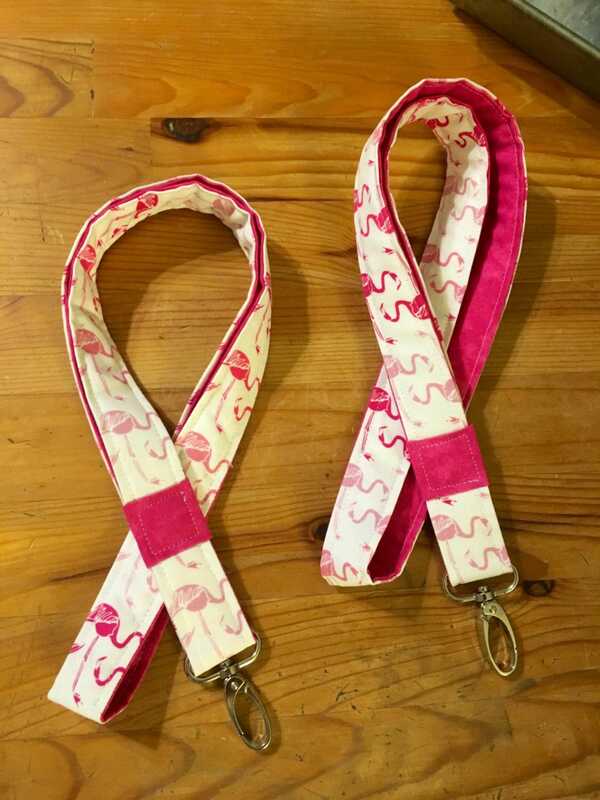 I combined the flamingo fabric with a cute pink print to make these unique lanyards. 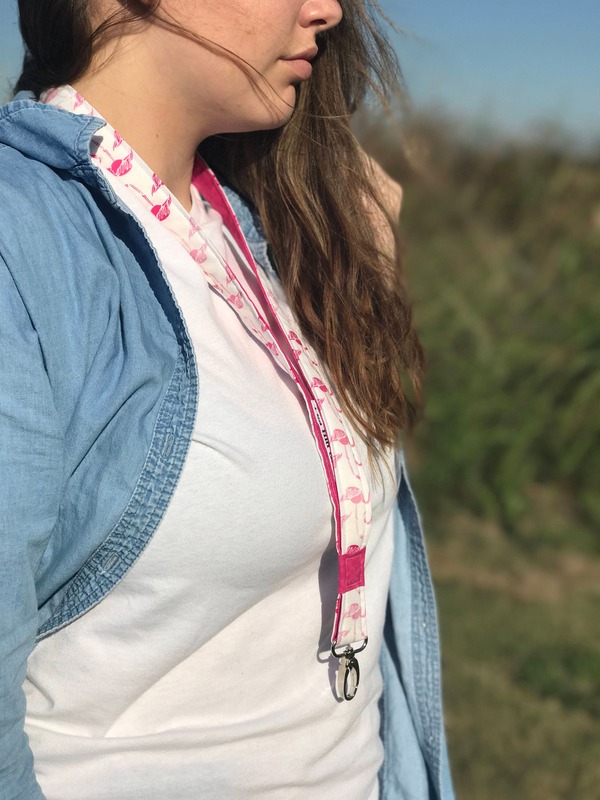 I used comfortable 100% cotton fabrics and I wear one of my lanyards to school everyday and can promise they feel good around my neck! They may be machine washed and dried on a cold cycle. You may press with an iron when dry. They measure approximately 21 1/2" long. I made them in my smoke free, pet friendly home.